Received 28 March 2018, Accepted 9 July 2018, Available online 10 July 2018. 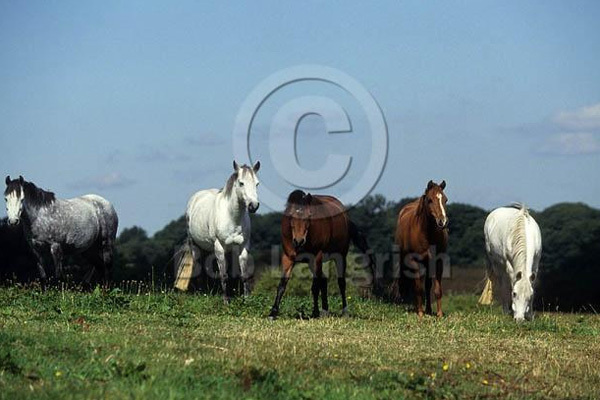 In order to describe the growth curves of live body weight (BW), body length (BL), height at withers (HW) and hearth girth (HG) in Caspian horses, six non-linear mixed growth models (Brody, Logistic, Gompertz, Schumacher, Von Bertalanffy and Negative exponential) were used. The data set comprised 129 records of BW and biometric traits (made up of 54 for males and 75 for female horses) which were measured weekly from birth to 32 weeks of age in the premises of the Animal Science Department, Agricultural and Natural Resources Research Center of Guilan, Rasht, Iran. Each model was fitted to weekly records of horses using the non-linear mixed model procedure (PROC NLMIXED) in SAS and the parameters were estimated. The mixed models were tested for goodness of fit using Akaike’s information criterion (AIC), Bayesian information criterion (BIC), log maximum likelihood (−۲ Log L) and residual variance. The Brody function was selected as the best model for fitting the growth curve of BW, BL and WL in females and all horses. Although, the Brody model was the best model for fitting the growth curve of HG in females and all horses, but Logistic function was the best function for fitting the growth curve for this trait in male horses. The results of this study can aim planning farm management strategies and decision making just by viewing the growth curve of horses.